Last fall, Food GPS brought you progressive dining tours of Santa Monica and Downtown, which I personally attended. 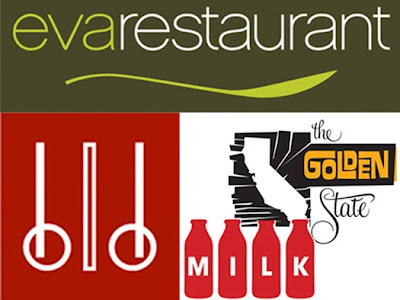 On the afternoon of Sunday, July 25, Josh Lurie is continuing his in-depth exploration of L.A.’s best eating neighborhoods as Food GPS spotlights four great restaurants located on (or just off) Beverly Boulevard. Eva, BLD, MILK and The Golden State are the destinations. Each chef-owner will introduce a plate, treat or drink, and it looks like there will be some great surprises in store. Participants will also be able to learn more about the neighborhood’s history and get to know other Los Angeles food lovers. The walking tour begins at Eva at 3 PM and costs $45 per person, including tax and tip. CLICK HERE TO PURCHASE TICKETS. If you have any questions, please e-mail organizer and tour guide Joshua Lurie at joshua@foodgps.com. Josh Lurie of Food GPS is my personal favorite person to explore new restaurants, engage in food crawls, and dig into the sights and sounds of Los Angeles and beyond. He is a consummate professional, with unstoppable energy to learn and share his passion with others. I had a great time on his downtown LA food crawl discovering some new restaurants, getting personal attention from each stop, and getting to know other Los Angeles food lovers. Josh of FoodGPS, has put together a tremendous value for the consumer, four top LA restaurants for one low price. Come join in the fun! this looks amazing! sounds like one of our dishcrawls. ;) you ever in sf?